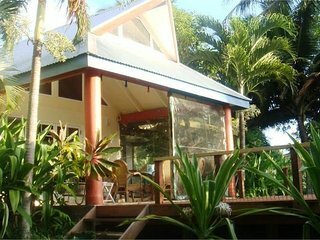 “Great simple accommodation with everything you need” Thanks to Tony for a great stay, we enjoyed our stay at mango cottage. 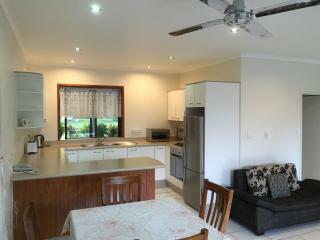 Convenient location with everything we needed - outdoor living, barbecue and a brand new sound system. 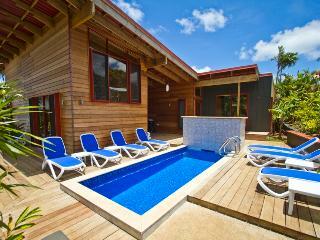 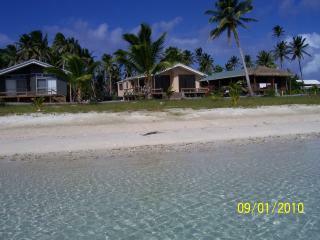 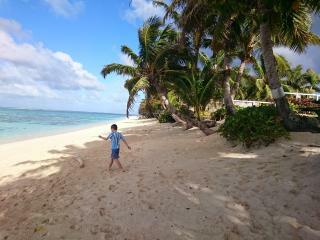 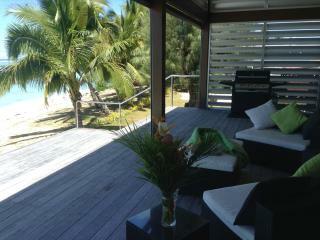 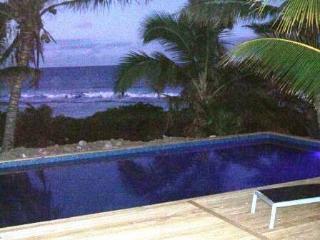 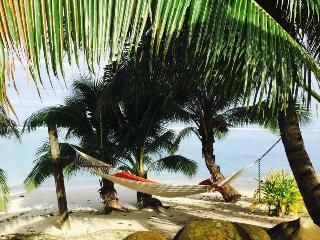 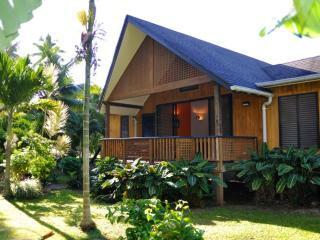 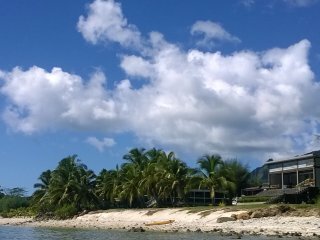 Affordable Home with the best beach and views on Aitutaki! 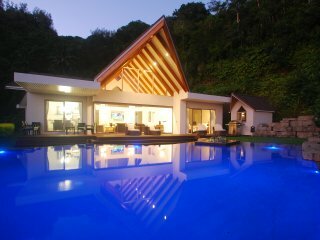 MURI BEACH VILLA - luxury. 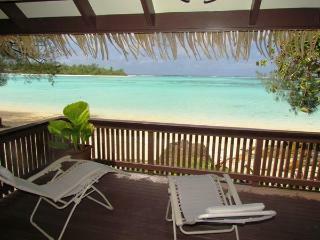 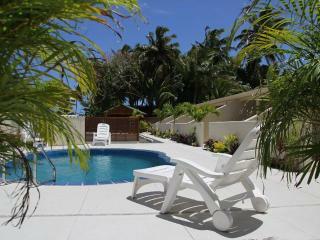 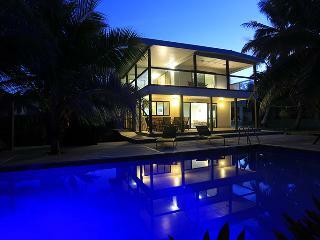 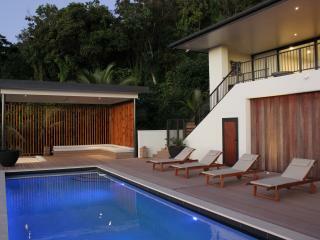 IRO'S BEACH VILLA - A 2 Bedroom Beach Villa with En-suites and modern features. 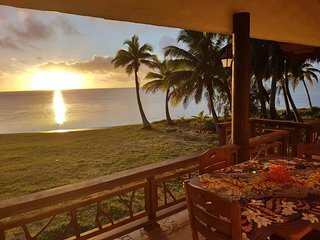 Beautiful and tranquil surroundings await travelers in the Cook Islands, a group of 15 sandy islands situated in the South Pacific. 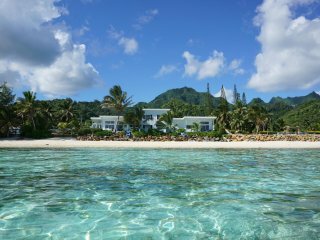 Visitors are drawn to the pristine beaches surrounded by sparkling blue waters and lush tropical scenery. 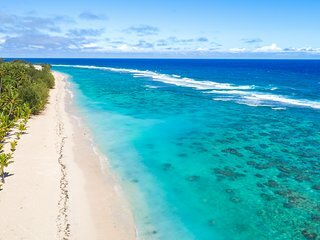 Cook Islands diving, swimming, inland trekking, boating, and guided walking trips are just a handful of activities that outdoor enthusiasts can engage in. 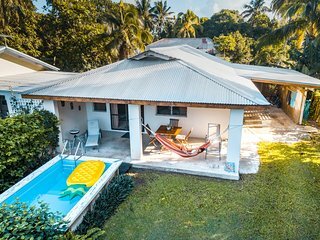 Culture buffs will be entertained by the area's historical sites while nature lovers will enjoy exploring the spectacular wonder of the mountainous regions and familiarizing themselves with the local fauna and flora. 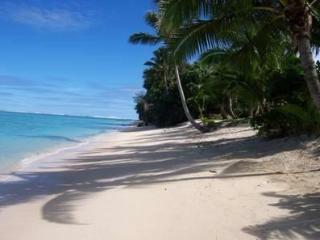 Be sure to spend some time near the picture perfect Cook Islands' surf, a popular location for Cook Islands honeymoons and Cook Islands weddings. 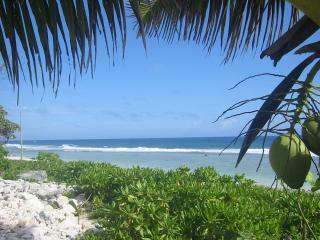 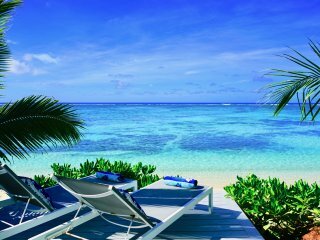 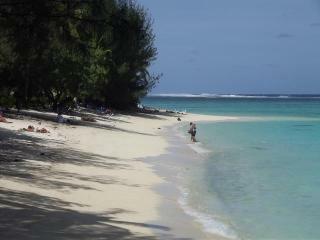 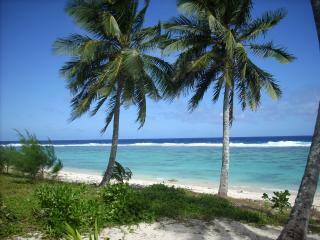 Rarotonga: Rarotonga, the largest of the Cook Islands, showcases a spectacular landscape. 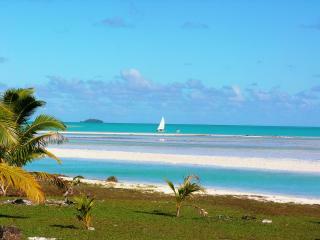 It features beautiful mountains, dense jungle, and picture-perfect white beaches. 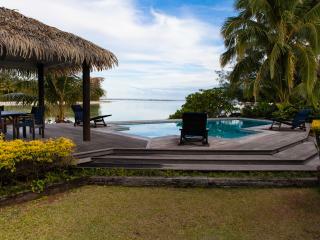 Aitutaki: This hook-shaped atoll resides on top of one of the biggest coral lagoons in the world. 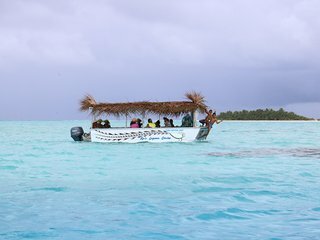 Visitors will see a host of amazing marine life, including technicolor tropical fish and giant clams. 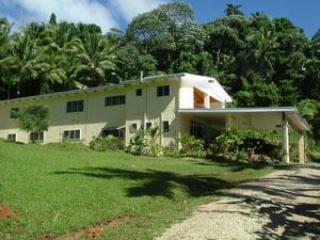 The Museum at Takamoa: This museum features an assortment of exquisite Cook Islands' handicrafts. 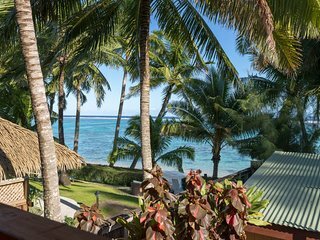 A three-hour cultural tour provides visitors the chance to view demonstrations in coconut husking, fire making, carving, and weaving, among other traditions of the region. 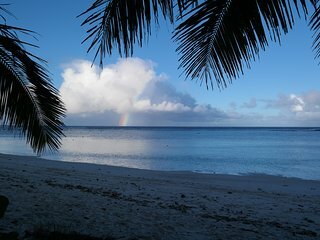 The Papua Waterfall: Also known as Wigmore's Waterfall, this spectacular natural wonder is the only waterfall on the islands. 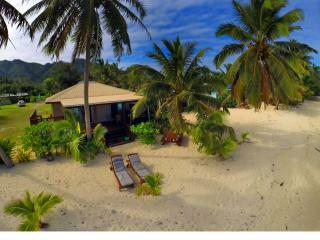 It is situated on Vaimaanga and is a breathtaking sight to behold. 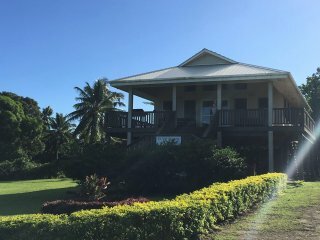 The Takamoa Mission House: Constructed in 1842, this building is thought to be the second-oldest structure in the South Pacific. 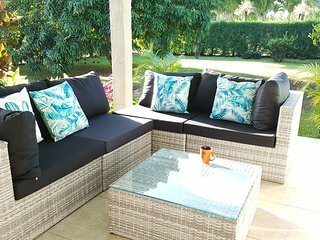 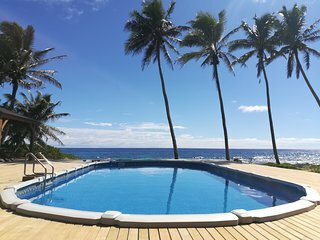 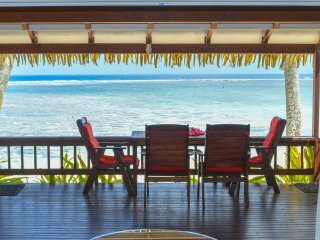 The Cook Islands are a breathtaking place to visit, and when you choose to stay in a vacation rental, this little piece of paradise becomes your temporary home. 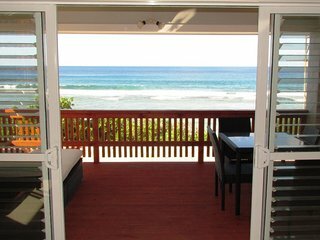 For your next trip here, rent a condo or villa by the beach where you will be able to enjoy all of the modern amenities you need in surroundings you have only dreamed of.